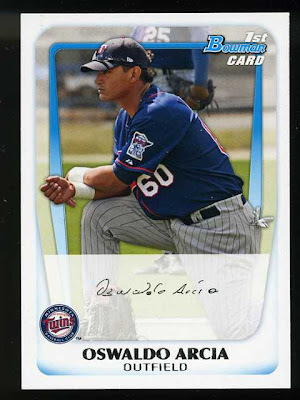 Although it's still over four months until it's release, the preliminary 2012 Topps Heritage checklist has been released. Most of it follows a familiar pattern. 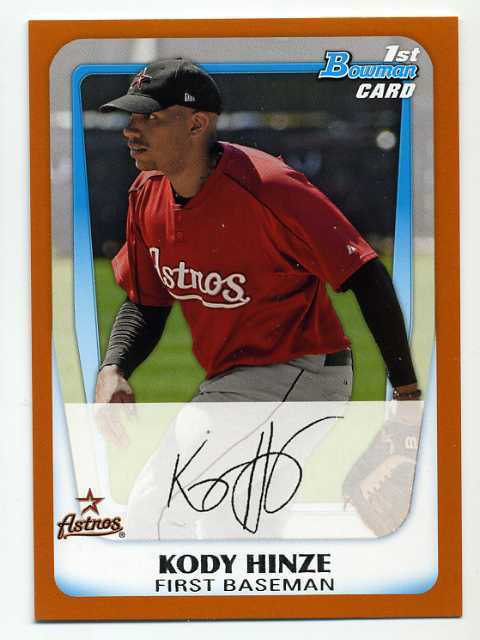 The base set is 500 cards again, and the last 75 cards will most likely be the short prints. Just like the Jackie Robinson variation set in 2011, the 2012 set will have a John F. Kennedy base variation set. 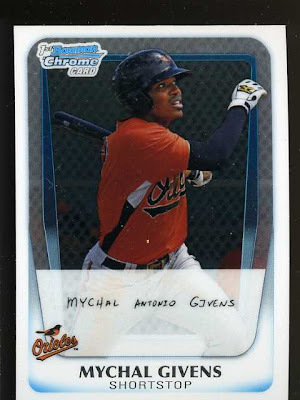 There will be 100 card chrome, refractor and black refractor sets in 2012, but there is no checklist for these yet. 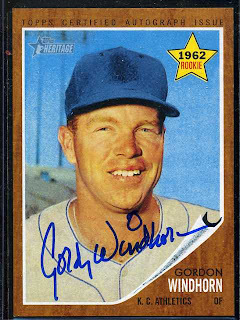 Following the familiar pattern, chromes will be numbered out of 1963, refractors out of 563 and black refractors out of 63. The four main insert sets return, including the 15 card New Age Performers set and the ten card sets of Then and Now, Baseball Flashbacks and News Flashbacks. 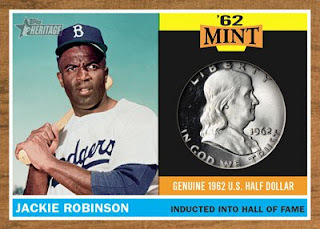 Relic cards for 2012 Topps Heritage include Clubhouse Collection Relics and Dual Relics, Flashback Relics, '62 Mint Coin cards, The JFK Story '63 Mint cards and The JFK Story Stamp Collection set. 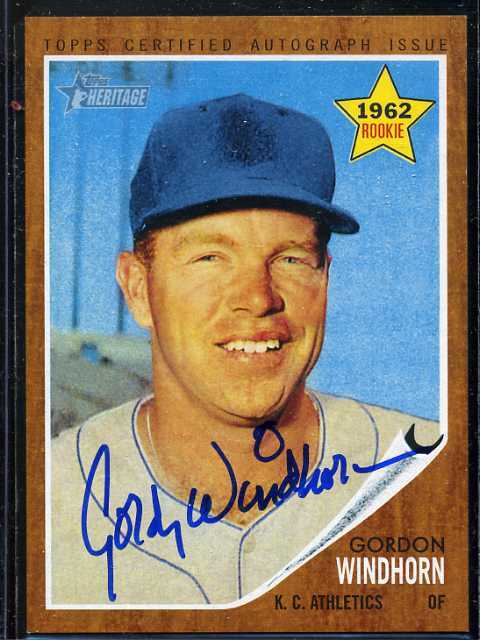 Autograph sets include the Real One Autographs (both blue ink and red ink which are hand numbered to 62), Real One Dual Autos, Flashback Auto's and 1963 Cut Signatures (1/1). 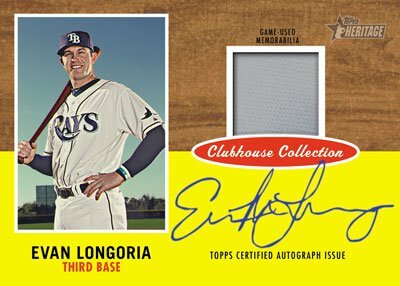 Autograph Relic sets for 2012 are Clubhouse Collection Auto Relics, Flashback Auto Relics and Clubhouse Collection Dual Auto Relics (two players, two relics, two autos). Box Loaders including Ad Panels and 1963 Originals (buyback 1963 Topps cards) can be found in hobby boxes. 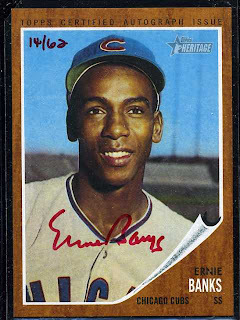 New to 2012 Heritage is the Topps Stick-Ons set which pays respect to the 1963 Topps stickers and a Framed Topps Stick-Ons Buyback set featuring buybacks of original 1963 stickers (found only in hobby). 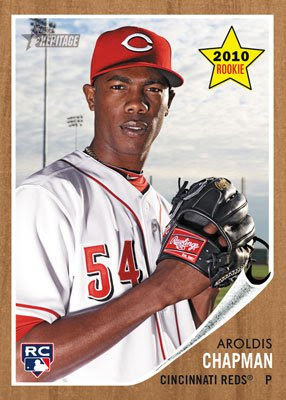 I always liked the 1963 Topps design so I am really looking forward to this set. Oh yeah, it doesn't hurt that there is a Royals team card in the base set which I believe is a first for Heritage (besides one or two that appeared in the high number sets). I was very glad to find out that up and coming KC Royals rookie slugger Eric Hosmer has been added to the 2011 Topps Chrome auto set as a late addition. 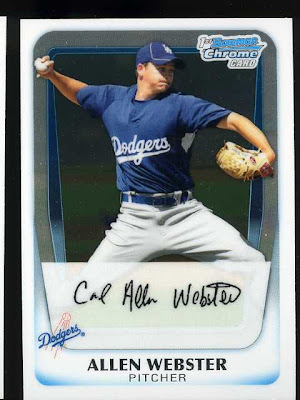 He has some signed prospect cards out there, but this will be his first true signed rookie card. Ran across a few signatures on 2011 Bowman Chrome and regular Bowman cards that caught my eye. These are just the machine printed signatures, not actual autographs. If it's not cursive, is it still considered to be a signature part 1? I'm guilty of this on my signature, printing the first letter of each name and using cursive for the rest. 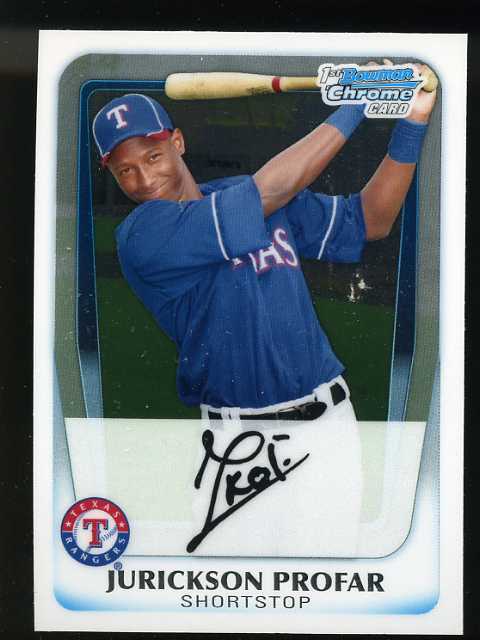 I'm not sure what this signature actually says, I'm just pretty sure it doesn't say Jurickson Profar. This is a cool looking signature, it's in English but it almost looks like Arabic. If it's not cursive, is it still considered to be a signature part 2? If it's not cursive, is it still considered to be a signature part 3? Oswaldo also wins the award for thinnest strokes on his letters. 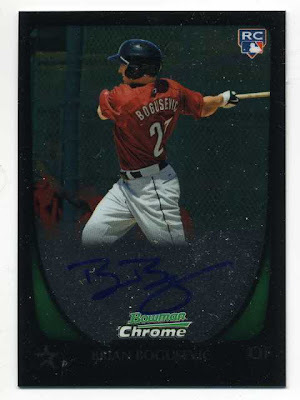 Nothing major with this 2011 Bowman Chrome break, but here are the highlights. As usual, I had never heard of 80% of these prospects, but you never know which ones are going to break out and be the next Piazza or Pujols. Never heard of him, but it's the only orange parallel I pulled from two boxes. It's numbered out of 250. 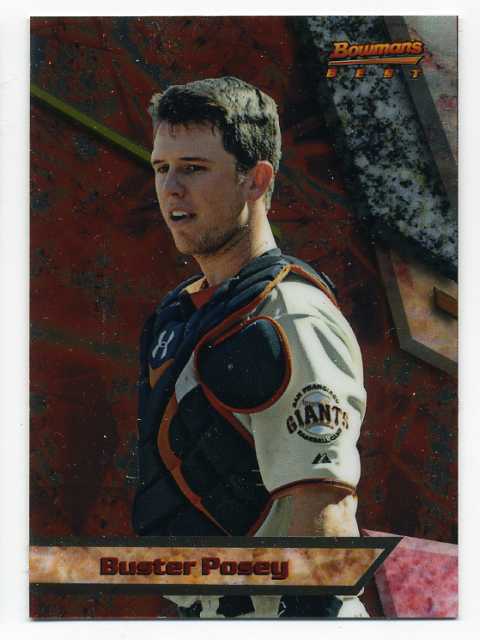 Bowmans Best Buster Posey. Bad luck cost him the season, hope he makes a full recovery for next year. Pretty fun rip, even if I did not get any huge hits. 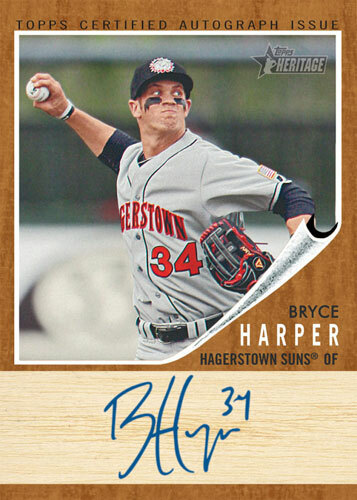 According to Beckett, Topps Heritage will be releasing a minor league set this September. 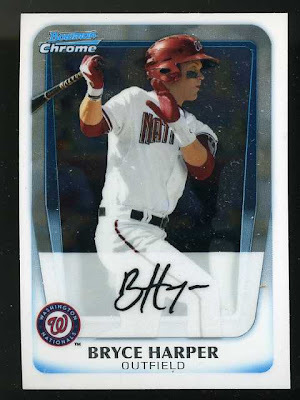 Of course, there will be Bryce Harper cards in there including autos and auto relics. I'm not a huge fan of minor league cards, but I do love the Heritage line. Might pick up some of these, but probably won't go overboard like I did on the regular 2011 Topps Heritage set. 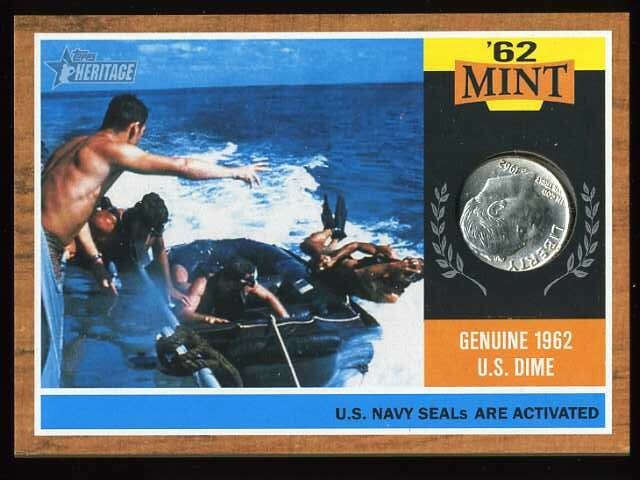 PS This 2011 Topps Heritage '62 Mint Navy SEAL's card had been sitting in my eBay store for about six weeks, and it sold today. 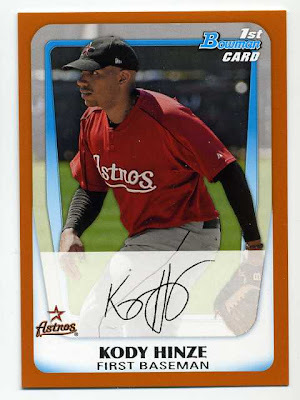 Pulled a few nice 2011 Topps Heritage cards so far. The coin cards are pretty cool. 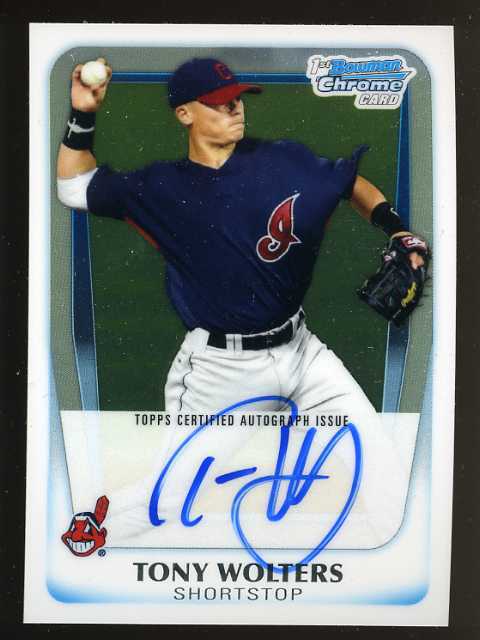 First auto...haven't heard of him but cool name and an auto is an auto. 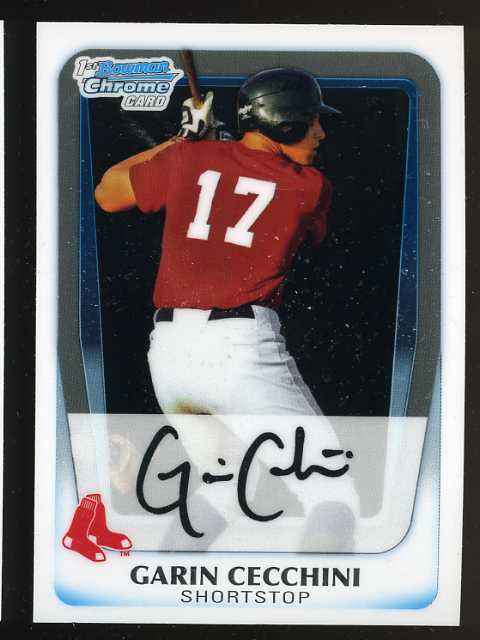 2nd auto, and it's red and a player I have heard of. 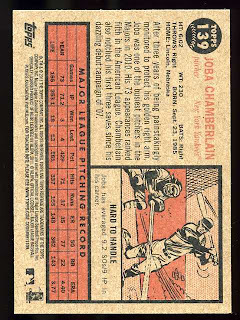 Did not know that Mr. Yost held the record for most games played at 3b (as of 1962...haven't checked to see if the record was broken, but I'm guessing maybe Schmidt or Brooks broke it?). Hard to believe StratOMatic is 50 years old! I have not played Strat in a long time, but I still have my set from when I was a kid. 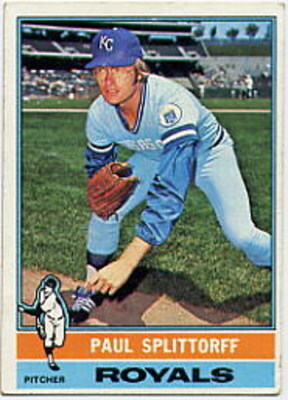 It has the 1983 cards with stats from 1982. The Brewers were awesome! I may have to get the game out soon for a 50th anniversary celebration. The 2011 Topps Heritage checklist looks pretty enticing. The scheduled release date for the set is March 17th, but hopefully it will show up a few days early. 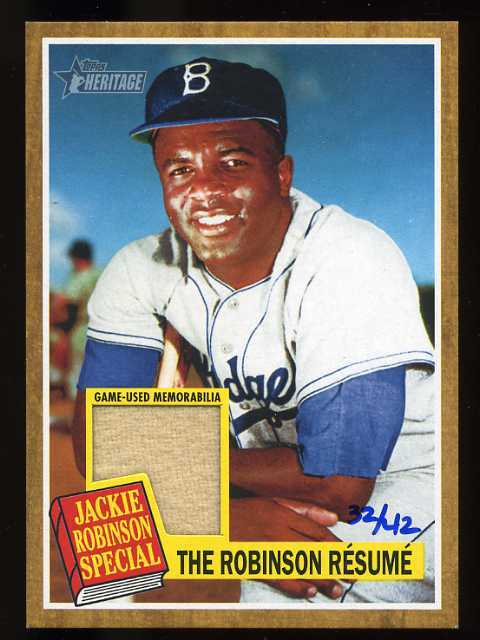 Once again, the main set will consist of 500 cards, which are designed after the 1962 Topps set. There are 75 short prints again, which will most likely be card numbers 426-500, although that has not been officially announced by Topps. Short prints should fall at a rate of one every two packs. 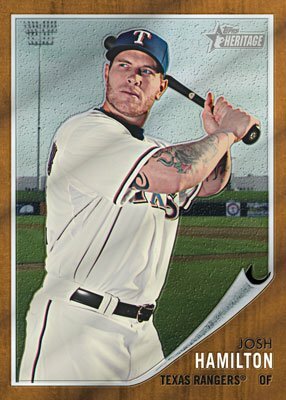 The honor of the first card of the set goes to a man who put up Texas sized numbers from the plate last season even though he missed at least a month of the season...Mr. Josh Hamilton. Stephen Strasburg will have a base card, even though he won't see the mound this season. 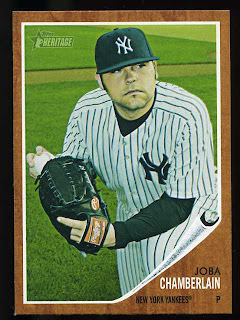 Cards 135-144 are a Babe Ruth subset. 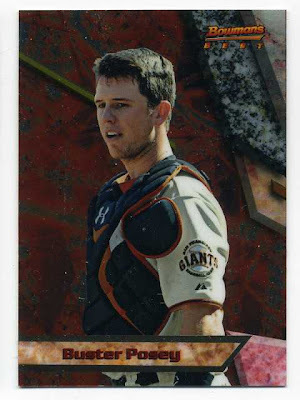 Card #237 is "Giants Celebrate World Series". 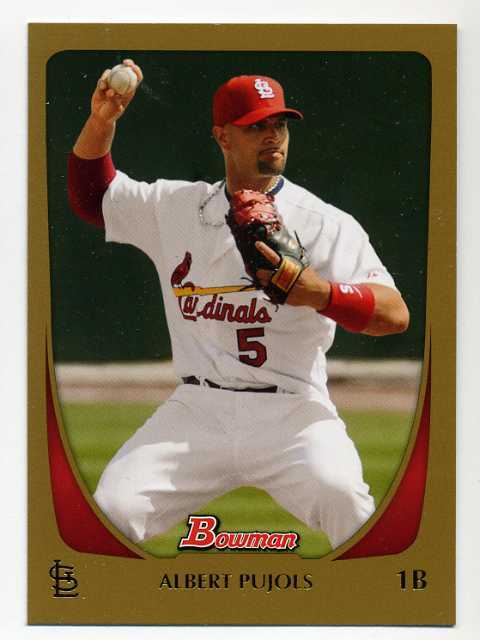 Card numbers 493-500 look like they will be the Rookie Parade subset that closed out the original 1962 set. The 2011 Topps Heritage chrome set is 100 cards, but will probably expanded in another Topps set like it was in 2010 (Topps Heritage chrome card #'s 101-200 were found in regular Topps packs). 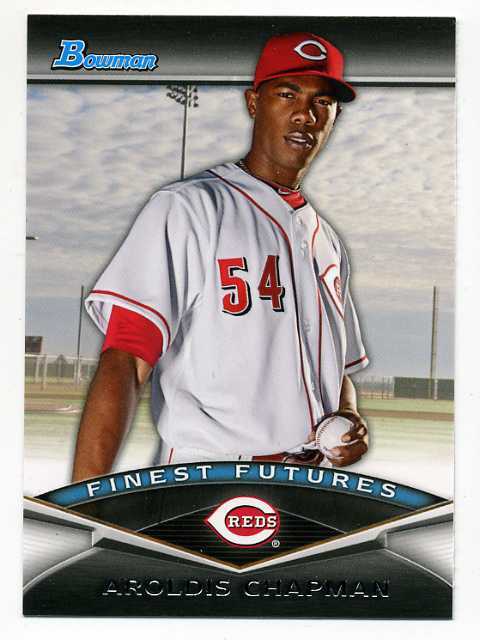 The regular chrome cards will be numbered out of 1962, refractors will be numbered out of 562 and black refractors will be numbered out of 62. Highlights from the chrome set include Starlin Castro, Babe Ruth, Don Mattingly, two World Series Highlight cards and Kyle Drabek. 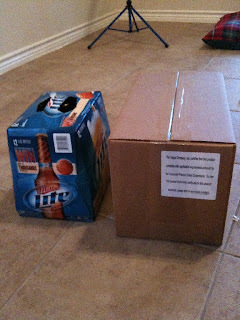 Insert sets will be the same as 2010, except for the chase sets. 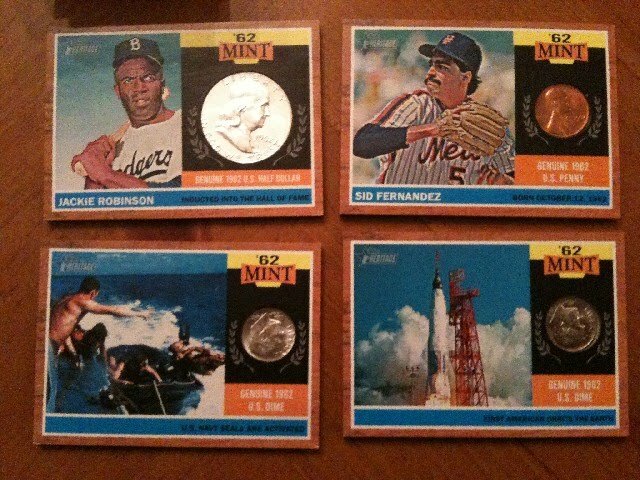 There is a 15 card New Age Performers set, a ten card Then and Now set, a ten card Baseball Flashbacks set that is loaded with Hall of Famers (Mantle, Maris, Yaz, Spahn and Gibson to name a few) and a ten card News Flashbacks set highlighting important world events from 1962 such as The Cuban Missile Crisis, the Mona Lisa visiting the U.S. and Jamaica gaining its independence. The New Age Performers set is always the tough set of the four to put together. 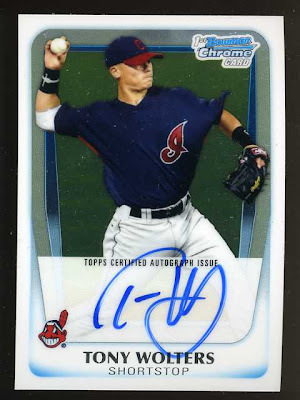 An exciting bonus for the 2011 Topps Heritage set is how loaded the Real One Auto checklist is. Hopefully all these guys make it into the set, because if they do it may be the best collection of autographed card to grace a Heritage set since the inaugural 2001 set. The auto checklist includes Al Kaline, Bob Gibson, Brooks Robinson, Ernie Banks, Hank Aaron, Sandy Koufax (yes!) 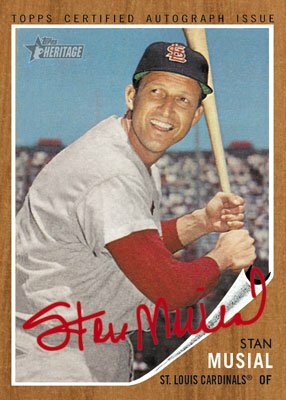 and Stan Musial, as well as current and recent stars like Evan Longoria, David Wright and Frank Thomas. As is the norm, there will be blue ink autographs and red ink autographs. 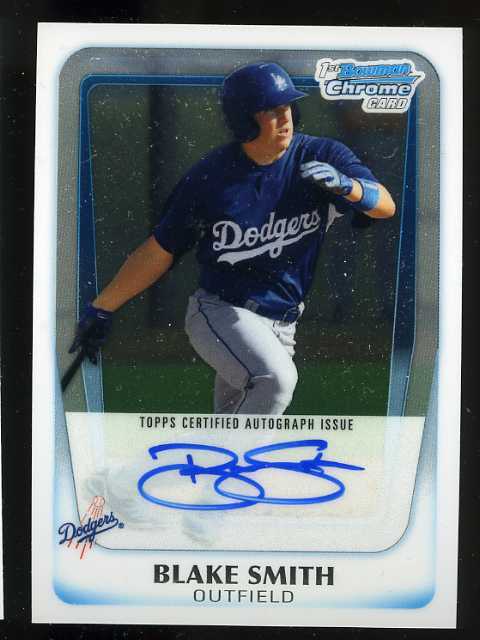 The blue auto's are not serial numbered and the red auto's are hand numbered out of 62. The dual autographs don't disappoint either with duo's such as Banks/Starlin Castro, Gibson/Strasburg, Musial/Utley, Brooks/Longoria and more. Let's hope they all make the set! But that's not all. There is also a Flashbacks auto set featuring autographs of Al Kaline, Brooks Robinson, Ernie Banks, Frank Robinson and Frank Thomas. Each Flashbacks auto is numbered out of 25. And of course the ultimate Heritage autos, the one of one Cut Signature cards. 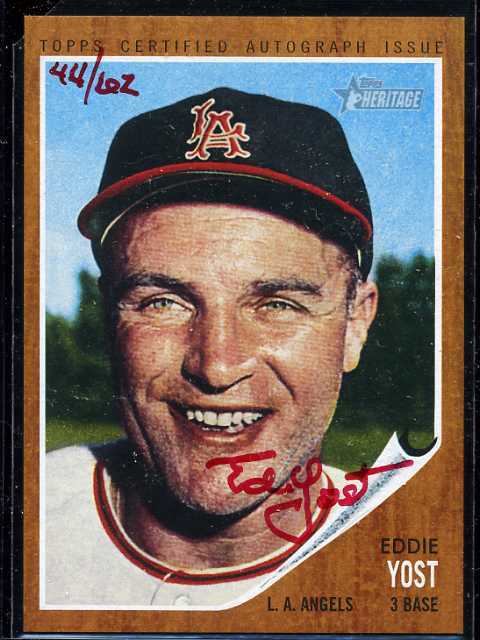 Cut signature cards for 2011 include Mantle, Maris, Spahn, Eddie Mathews and more. The 2011 Topps Heritage Clubhouse Collection checklist features some starpower as well. Regular Clubhouse Collection relic cards include modern stars like Longoria, Hamilton, Hanley Ramirez, Cano, Utley, Howard and more. The Clubhouse Collection dual relic set includes combos like Banks/Castro, Ford/Sabathia, Gibson/Halladay, Mantle/Jeter and other fantastic pairings. Clubhouse Collection Autograph Relics feature Kaline, Gibson, Longoria, Robinson (Brooks and Frank) and more. Clubhouse Collection Dual Autograph Relics include Banks/Castro, Gibson/Strasburg, Kaline/Austin Jackson, Frank Robinson/Stanton and Brooks Robinson/David Wright. 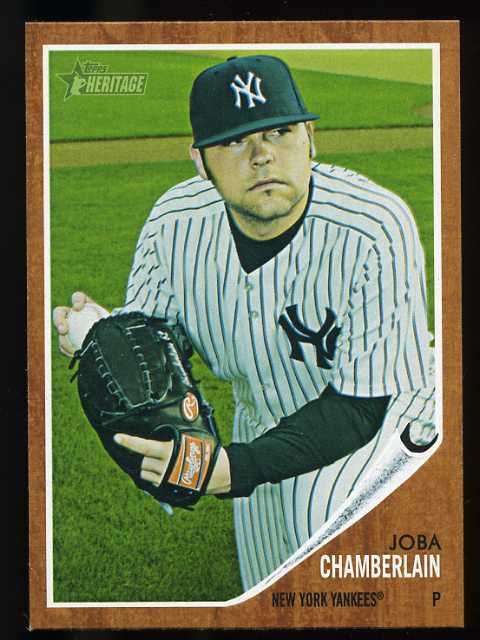 Stamp cards make a return to 2011 Topps Heritage with a huge 201 card set. 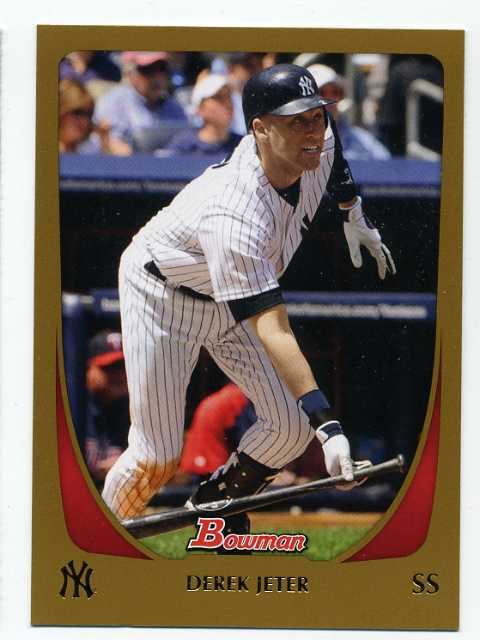 The difference this year is that there only appear to be one player per stamp card instead of two (in the 2010 set). Stamp cards will numbered (out of 50 or 62?) 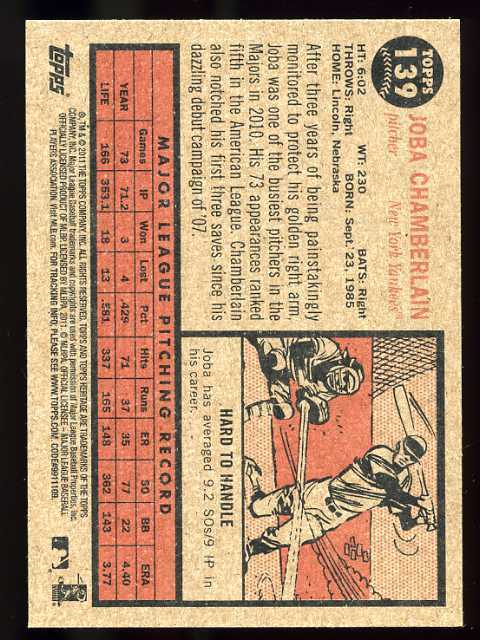 and there will once again be hobby exclusive original 1962 stamp buyback cards. The 2011 Topps Heritage checklist includes a brand new insert set, the '62 Mint set. Each '62 Mint card features a baseball great or an important historical event, as well as an original coin minted in 1962. Hall of Fame induction cards include silver dollars, baseball highlights include quarters, personal history cards include dimes, rookie debut cards include nickels and happy birthday cards include pennies. Every year I look forward to the release of Topps Heritage. It's my favorite modern set by far and even though the 1962 set was never one of my favorites, I still can't wait to get a hold of some 2011 Topps Heritage. 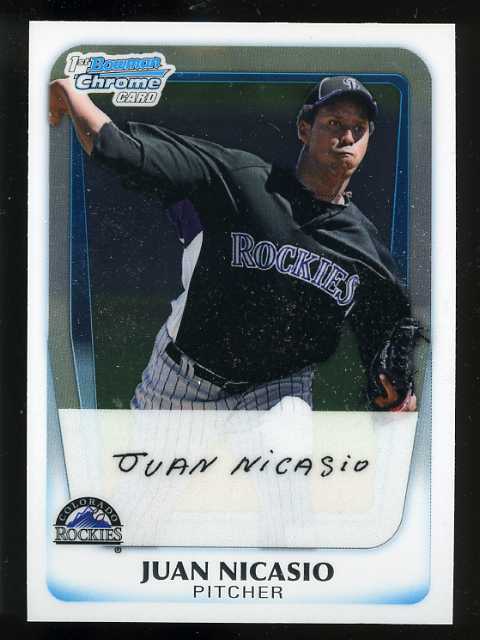 In the not to distant future, there will be no sports card news on paper. Tuff Stuff announced it is halting production and Sports Collectors Digest is switching from a weekly format to a bi-monthly format. Too bad, but as Ron Washington says..."That's the way baseball (card collecting) go."